We've had to be very patient, but Pikmin 3 has finally been announced for Wii U.
Shigeru Miyamoto, Pikmin leaf poking out of his jacket pocket, announced the real time strategy game for the HD console. Miyamoto was happy to note that you can see the movement of each Pikmin. There's a new Pikmin type too — the rock Pikmin can be used to smash down walls more effectively. 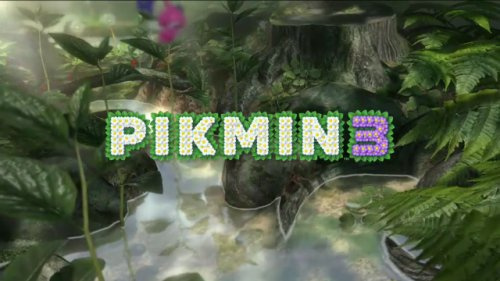 Pikmin 3 will use Wii MotionPlus and the Nunchuk for the most accurate plant-chucking you could ever wish for. The Wii U GamePad can also be used for a greater control over the map and order about up to four leaders. Are you looking forward to getting back to Pikmin's garden? Well, there's one reason for me to get a Wii U. Been a good while since I played Pikmin. Looking forward to Pikimin 3. MotionPlus, ugh. Automatically lost all interest. I'm digging the game's four-person strategy feature like a bunch of White Pikmin near hidden treasure! Speaking of White Pikmin, I wonder if they, along with the Purple Pikmin, will make a return. Even if they don't this is still a must-have for me. Game of the whole conference. No other words can accurately portray my emotions. I'm wondering if it's only three Pikmin types too. I hope not. But this still looks absolutely incredible! And I'm pretty sure at least two of the four players are Olimar's kids, along with friends probably. I bet the story is that Olimar took them all to the planet as a vacation or something, then they somehow got separated and have to find there father. I said Nintendo won E3 after that Miyamoto intro. I didnt realize the presentation ended after Pikmin 3. The 3DS stuff was better. And I know he was being translated but he sais "developing". I think this game is a long way off and I don't see a reason to get a wiiU until this is out. Tags - gardening, aliens. Highlight of my day. Wasn't going to get this on day one. But the new features and the E3 details have convinced me. Insta-buy all the way. 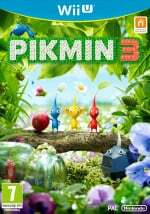 Fan of Pikmin 2 and this seems even better potentially. I'm so glad this wasn't on the Wii. Highlight of the conference for sure. Wii Motion Plus support! Shazing! Looks great too! Too bad i had to deal with the Nintendo E3 presentation in uuber Low Quality with tons of input lag which basically butchered the cute real time pikmin intro with Miyamoto....Thanks crappy computer! Anyways! Want to see some 720p/1080p screens! I'm even more pumped now to get my hands on Pikmin 2 for the wii hehe. What about Just Dance 4, Sing and Wii U Fit? Didn't those awfuly unexciting titles tickle your fancy? I just about had a crazy cringe seizure while experiencing those three. Looked very cool at the conference! Honestly, made me wanna get Pikmin 2 for $20 and see what it's like. This will be the game I get at launch, not nintendoland. This game along with mario will be the reason for me to be an "early adopter." I'm looking forward to this...but I'm also looking forward to playing Pikmin on Gamecube (sitting on my shelf for years now. ), and Nintendo Selects NPC Pikmin 2 on Wii. The Rock Pikmin look cute..."Rokmin".